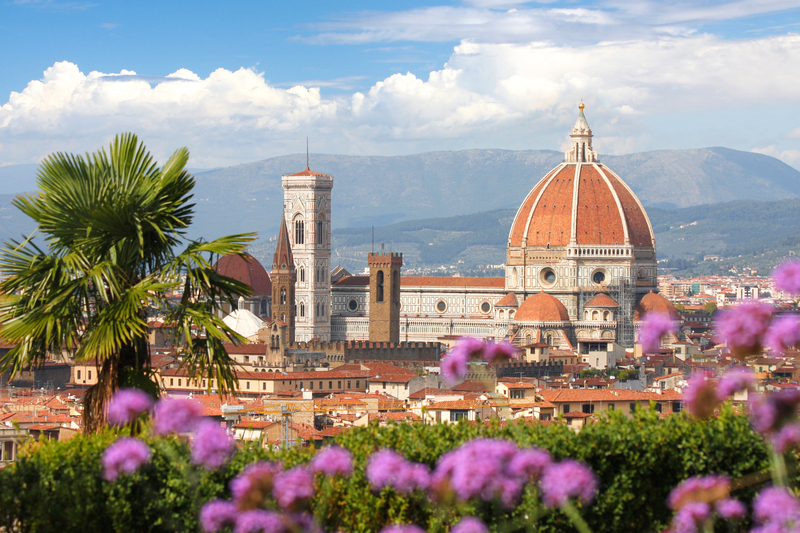 Describing Florence's places of interest means describing the city's history. The historic centre, a UNESCO World Heritage site, is an open-air museum where you can admire the facades of the awe-inspiring basilicas and cathedrals that form its unmistakable skyline, and see the lavish palaces that tell the story of the different periods of the city's history: from the birthplace of the Renaissance to the capital of Italy, all the way through to the first half of the twentieth century when Florence became a hub for the avant-garde. Moreover to fully appreciate the artistic richness of Florence, one must also look beyond the city centre: the area “outside the walls” has a lot of original "jewels": Museo del Cenacolo di san Salvi; Museo Stibbert; Parco di Villa il Ventaglio; the Medici Villas of Petraia and Castello, the Villa La Quiete and that of Poggio Imperiale. The surroundings made of verdant hills spotted with parish churches and villas hides a lot of unknown masterpieces. 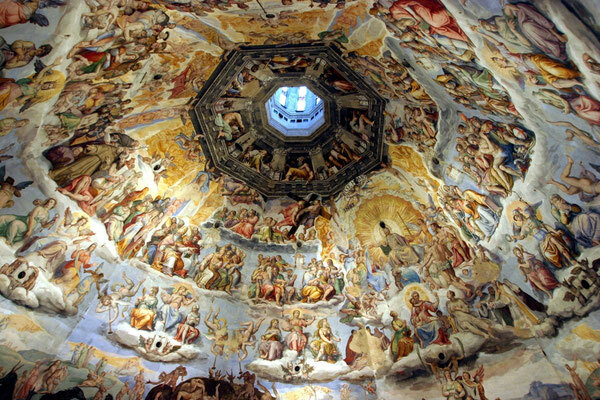 The territory has an incredible legacy; the Medici and various affluent merchant families left many traces of their presence there over the centuries, and there is an abundance of religious art. Florence is an art city and visitors from all over the world come to visit it all year long. 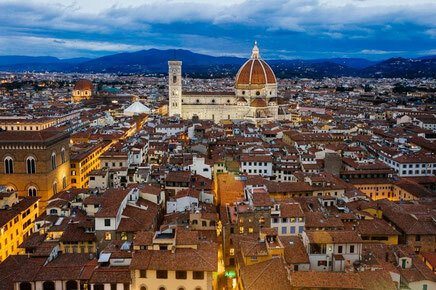 Undoubtedly we can say that wintertime, except for Christmas time, is low season and a very good time to visit Florence. In this handful of months, though they can be wet and windy, the city offers its best in terms of services, with lower prices, sporadic lines in front of the main attractions and a lot of events. Every winter for the last few years, from the beginning of December to Christmas, Florence has been illuminated by “F-Light", the Festival of Lights, which bathes the monuments and squares of the city with a new light. 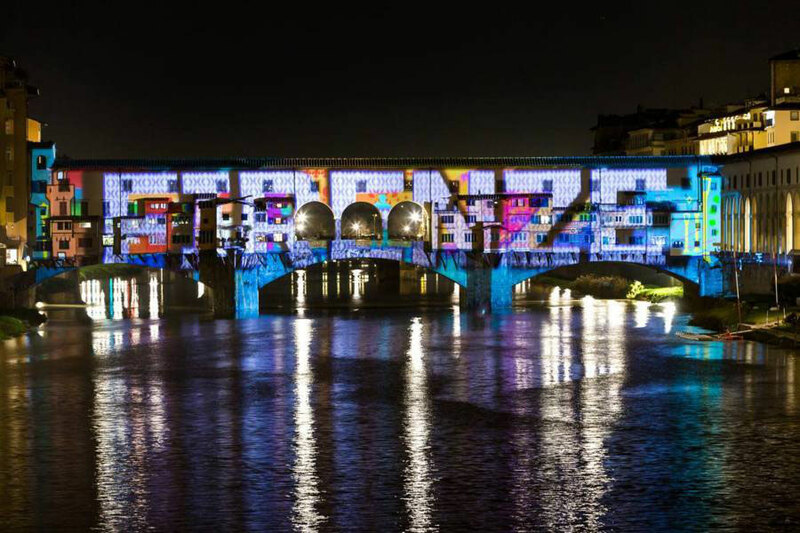 The event, spread out in more than 15 locations, proposes video-mapping, projections, games of light, art installations. 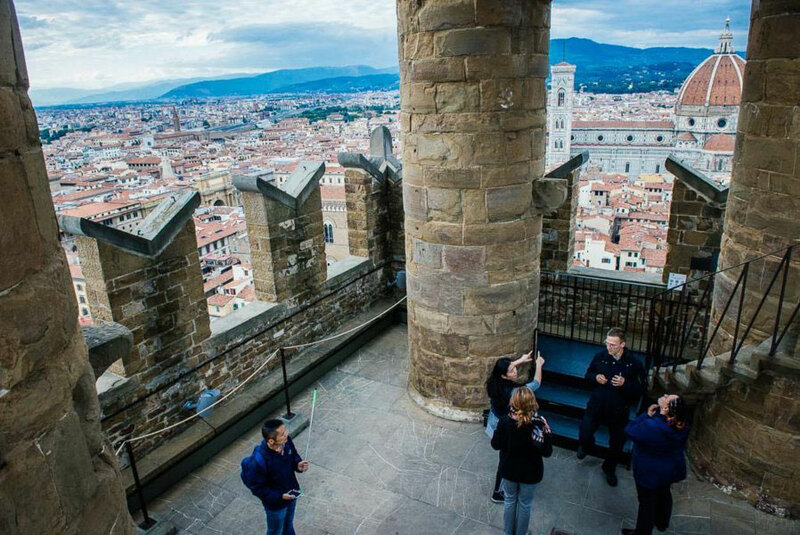 The city's towers are an extraordinary option for those seeking a different perspective. Niccolò Tribolo, the ''architect of the Medici gardens" was the inventor of the "Italian-style garden". 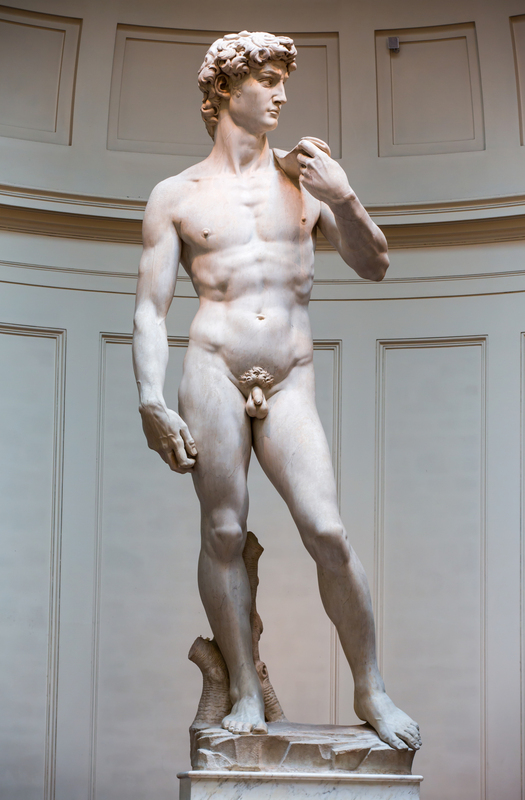 One of his most important creations lies behind Palazzo Pitti: the Boboli Garden. Commissioned by Cosimo I de' Medici, the garden is a veritable outdoor museum, full of statues, large fountains, natural architecture and artificial grottos. Tribolo was also responsible for the Medici gardens at Villa La Petraia and Villa Reale di Castello. 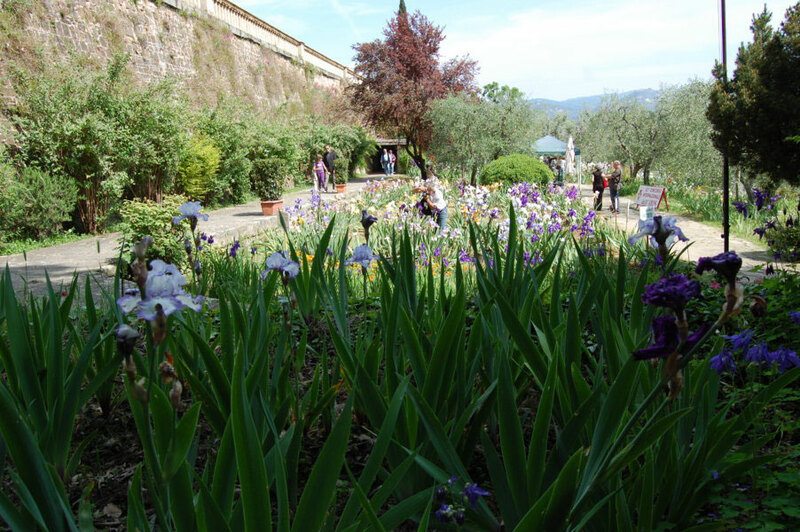 A stone's throw from Piazzale Michelangelo lie the Rose Garden (with 350 types of rose and sculptures by the Belgian artist Jean-Michel Folon), and the Iris Garden (home of a prestigious international competition). The Orticultura Garden has a nineteenth-century feel, characterised by the greenhouse/tepidarium by Giacomo Roster (a magnificent structure made of iron and glass), as does the park at Villa Stibbert, designed in line with the eclectic tastes of the owner and avid collector, Frederick Stibbert. Just outside Florence, we find the ever-popular Garden of Villa Gamberaia, set amongst the stunning landscape of Settignano. 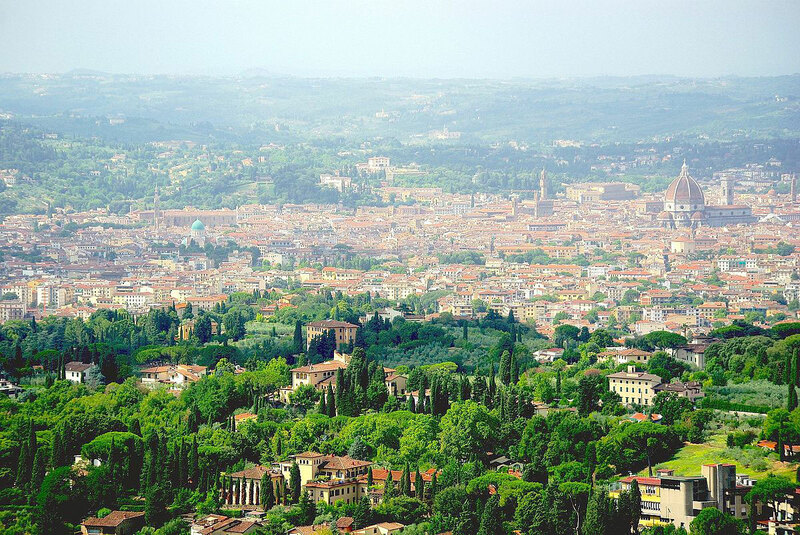 You only have to choose in our area: towns of Etruscan origin such as Fiesole, towns surrounded by Renaissance walls such as Lastra a Signa or Figline Valdarno. Wine production areas such as Rufina, Pontassieve, Pelago. Typical manufactoring centers: Impruneta for cotto, Signa for straw; Sesto Fiorentino for ceramics. 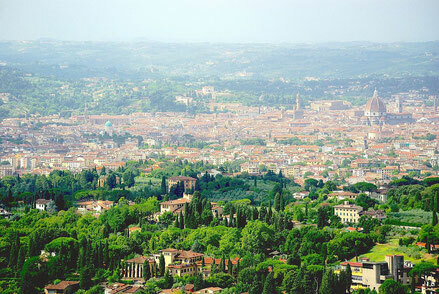 Some towns are on the slopes of the Apeninnes - Reggello, Vaglia, Londa; other lie along the Arno valley - Rignano and Incisa. 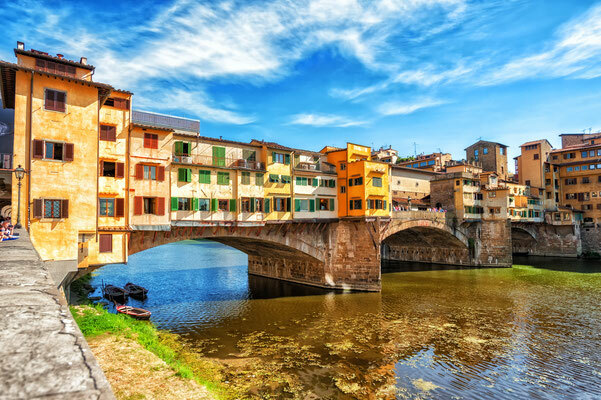 Other towns are suburbs of Florence- close to the city but with a more quiet rythm of life, such as Bagno a Ripoli, Calenzano, Campi Bisenzio and Scandicci. 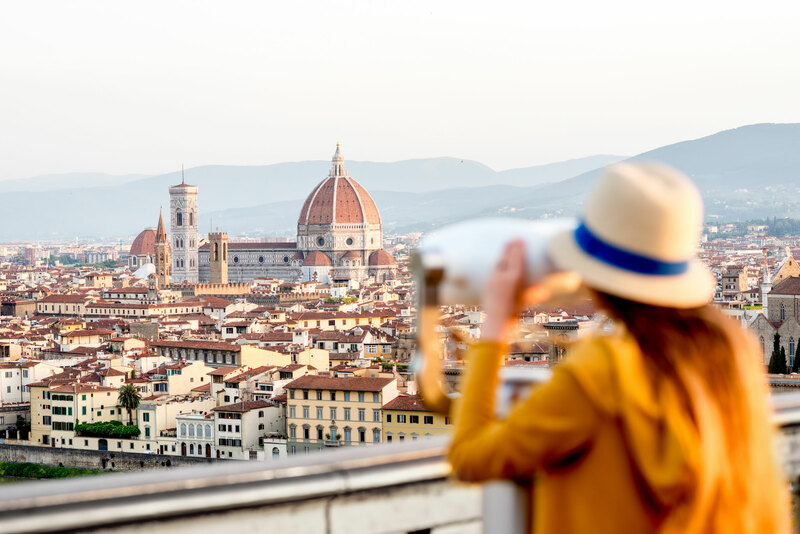 Any of these places are a part of the territory around Florence, where you can stay and enjoy both the city and the beauty of nature, Italian lifestyle and food.